Who doesn’t like eating out? Sumptuous meals, delicious appetizers and a fine dining experience! These can’t always be found from the goods being baked in the home kitchen. Stepping out with loved ones in a search for an enchanting experience over a meal can set the right tone to life. Isn’t it? But not all that is laid out on a full platter is within the reach of the wallet. The world is full of exquisite fine dining restaurants that leave you tummy-full with a meal well polished but breathless for the sheer enormity of meal price. 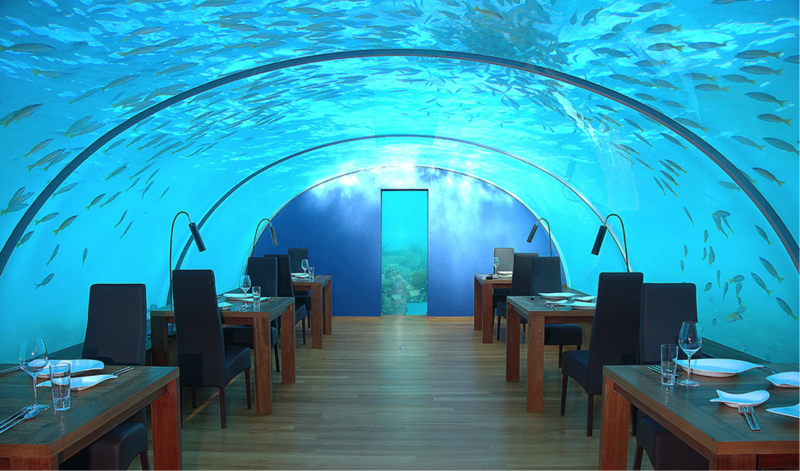 Beautiful, splendorous and most sought after, we present you 10 of the world’s most visited and albeit, expensive restaurants. Ask any foodie in Japan about the best dining experience and all heads will roll over to Kitcho, an exquisite Japanese pearl in the “Land of the Rising Sun”. 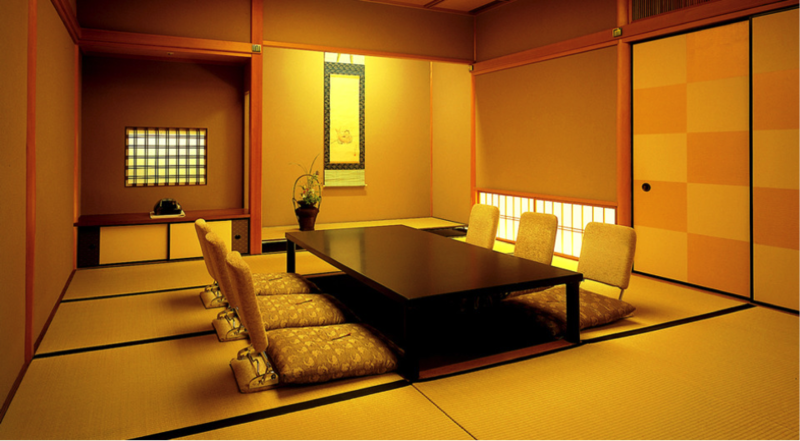 The most expensive 3 star Michelin restaurant in the world, the restaurant functions under the aegis of one of the most celebrated Japanese Chefs, Kunio Tokuoka, who’s known to be a master of experimentation of tea and Kaiseki (a traditional multi course Japanese dinner). Promising a dining experience worth every dime, Kitcho costs you somewhere around 1200 US Dollars for a meal for two. We can only wonder and never seize to count the many amazements that America tables down for its cosmopolitan audience? Can you imagine the sheer state of luxuriousness at having to eat unarguably the world’s best sea-food specially flown in from Japan, here in the heart of New York? At Masa, its possible. Featuring more than a dozen types of exotic seafood straight from Japan, Masa happens to be New York’s gastronomic retreat when it comes to matters of the Oriental. Celebrated Chef Masa Takyam, established this fancy seafood eatery in New York after setting up his famous Sushi restaurant in LA, a provincial paradise of USA’s nightlife. 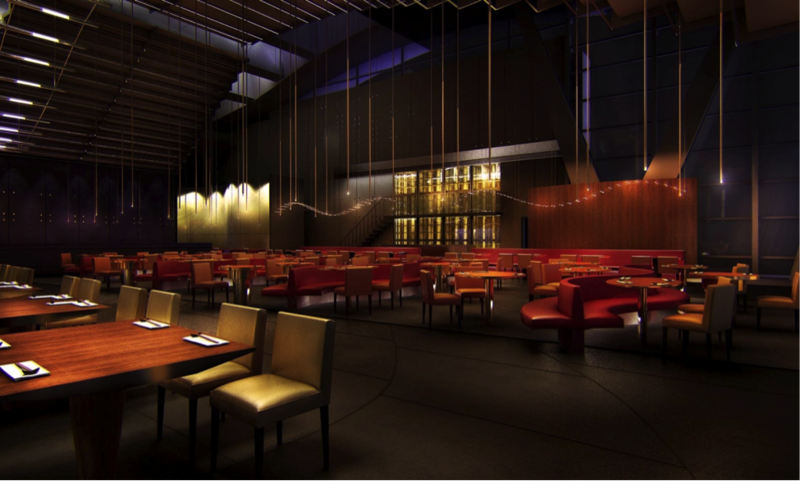 Offering a sizzling and tempting multi-course menu, a meal for two as Masa costs you around 1200 US Dollars. To be in Paris is a privilege in itself and then to dine out here at Plaza Athenee, a restaurant decorated by sheer opulence is a feeling like no other. With such grace and beauty, Paris is like a subtle kiss on the cheeks of your loved one and what better way to bond with your precious other than dining out at Plaza Athenee? A flagship restaurant of internationally renowned Chef Alain Ducasse, Plaza Athenee welcomes diners and visitors with an enthralling view of its luscious abode, coroneted with crystal chandeliers and a mesmerizing experience. A menu marveling with rare ingredients prepared by head chef Christophe Saintagne, guests get a lavish spread out of an experience that weighs more than what is in the menu. Steamed langoustines and cold caviar with wine are an every season favorite. A meal for a person costs around 550 US Dollars. How about a fine dining experience that serves you both tantalizing pleasantries and a bit of a history? 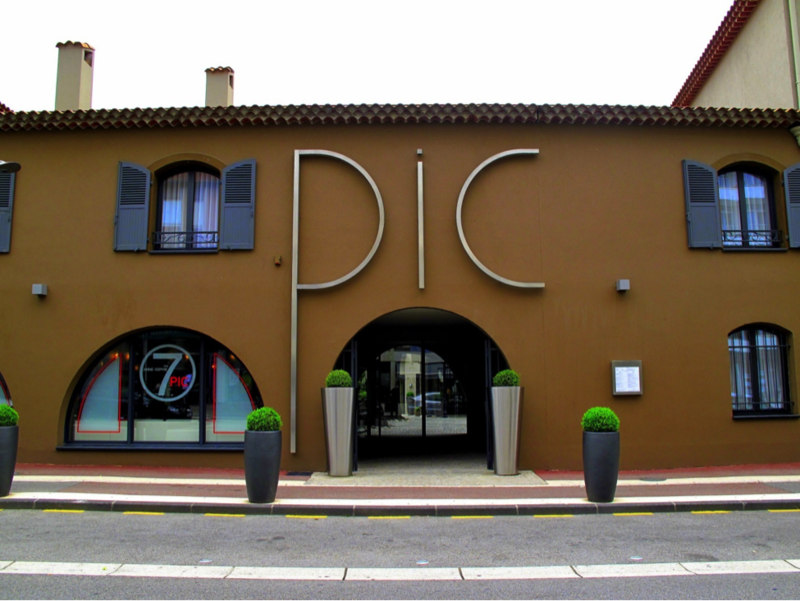 Out here in the serene southeastern France, Maison Pic, one of the most princely restaurants in entire Europe pleases diners with traditional French cuisine that pays homage to generations passed. Under the care of celebrated chef Anne Sophie Pic, the menu features some of Pic’s classics including, Line Caught Bass with Caviar Alverta, a popular offering since 1971. Presenting the best in the world traditional French cooking, Maison Pic is a rather exorbitant with meal for one person being around 430 US Dollars. Isolated, secluded but set amid a picturesque surrounding of mountains and freshwater lakes, Michel Bras Toya certainly packs a maximum punch with its breathtakingly beautiful offering of both appetizers and abundantly beautiful views. Specializing in French dining with a Japanese twist, guests can gorge over exquisite French dishes with Japanese flavors such as snails from Bourgogne, carrot juice and kohlrabi combined with young sorrel. Implicit in the heart of this amazing restaurant is a vivacious wine selection boasting of 500 selections lavishing an experience that only few restaurants in the world can match. Meal for one is around 410 US Dollars. 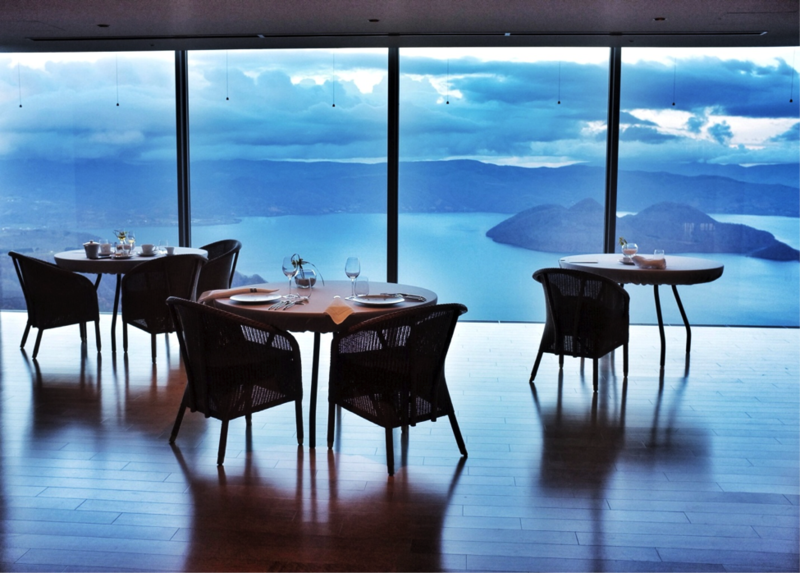 A dining experience set ablaze in a palatial setting, intertwined by Swiss Alps. Could life be any better? One of the driving force of this picture perfect restaurant setting, is Hotel De Ville’s souring of fresh and highest quality produce from different cantons of Switzerland. Here, fish is sourced from Leman lake, meat from Fribourg canton and exquisite Swiss cheese from Lausanne, a luscious Swiss city. 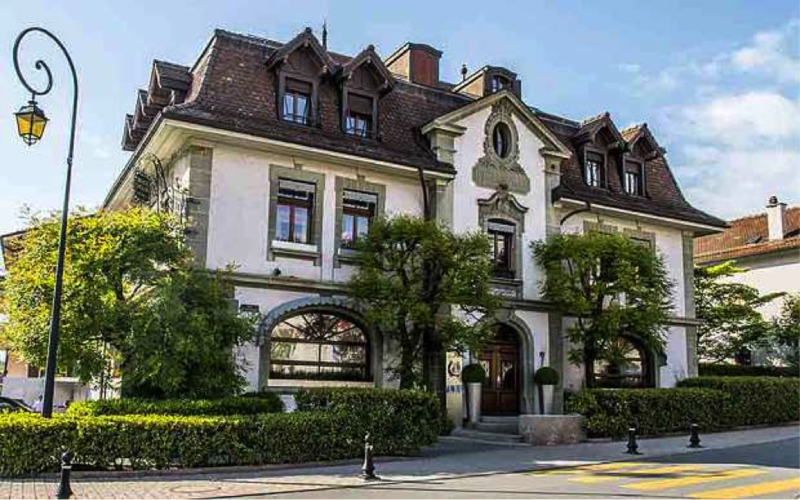 A seasonal menu replete with impeccable ingredients makes Hotel De Ville, situated close to Lausanne an unmistakably beautiful gastronomic stopover. Meal for one costs around 370 US Dollars. 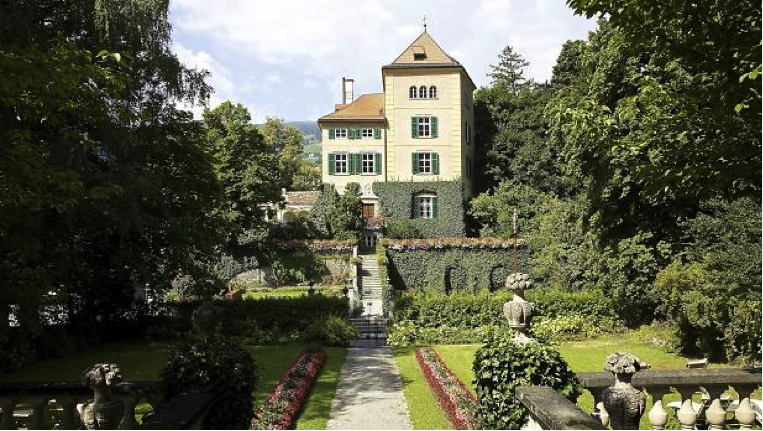 The setting of this timeless marvel at the heart of Switzerland brings afresh memories of a picture perfect romantic saga, straight out of a Nicholas Sparks novel. Located in an 18th century castle in an alpine valley, the medieval decor of Schloss Schauenstein reaffirms the existence of good world charms in the nightmarishly toxic and utterly consuming modern day struggle of today’s day and age. Presenting guests with sprawling Swiss dishes in an ambience of exceptional taste, color and precision, head chef Andreas Caminada has managed to create foodie masterpieces that match the abundantly beautiful settings of the nature that lay outside of this classic old world architectural delight. Meal for one costs around 335 US Dollars. Usually Netherlands attracts an allure for its notorious nightlife and a rather willy wonka hispanic lifestyle favoring the mad ones; artists, painters and just curious travelers. But implicit in the heart of Netherlands’ legacy to the wide world is its far reaching culinary cosmos, with several amazing fine dining restaurants spilled over Amsterdam, Rotterdam and The Hague. 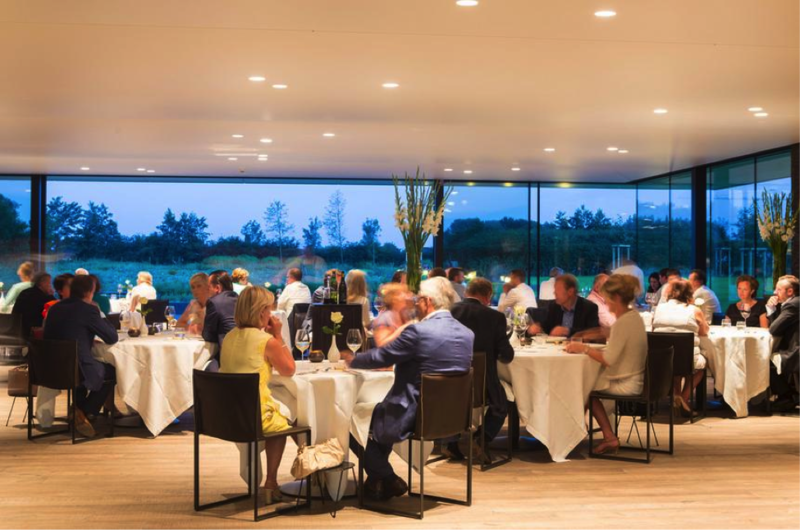 But located at Zwolle, is a culinary stop over fashioning inventive dishes made from select seasonal products, mastered by celebrated chef Jonnie Boer. With meal for a person costing around 290 US Dollars, it may be expensive but it certainly presents guests with a unique dining experience at the heart of the Dutch land. Come here and eat all you want. And, soon you will fall in love. 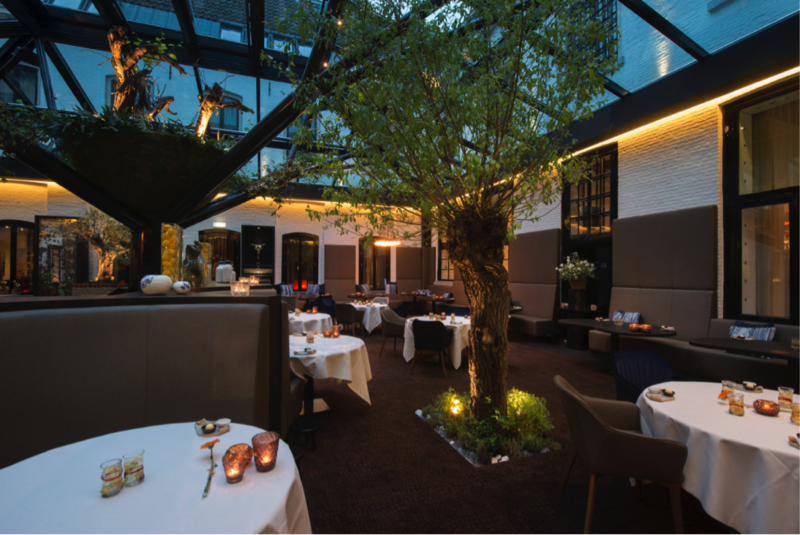 With a astonishingly simple motto of ‘driven by simplicity’, Hertog Jan in upstate Bruges is very much the idyllic place that you’d fancy for a saucy night out in Belgium. Spacious, very welcoming and woven with a warm homely feeling, Hertog Jan boasts of exclusive ingredients on its A-list menu sought from its own bio-farm garden to create a simplistic Belgian menu with freshest flavors. This fancy fine dining restaurant also charms guests with its wide array of wine selections. Meal for one is around 275 US Dollars. For those who fancy a life aquatic, this is your chance to be the ‘water baby’ as you polish off a scrumptious delight off the table. They say, location for a restaurant weighs heavy in terms of its popularity. Now how about digging a place, about 16. 5 feet below the surface to appeal to the glutton? Presenting guests with a 180 degree view of the vibrant coral gardens of Maldives, the Ithaa has a European slant, a six course menu and tons of champagne flavors to choose from. A full six-course menu for one person costs around 320 US Dollars.